It may have looked like two guys beating someone up, but it turned out to be two men struggling to detain a burglary suspect this afternoon in the 500 block of Addison. Passers-by reported a battery in progress in front of an apartment building there at 12:55 this afternoon. At nearly the same time, a 911 caller reported a burglary at the same address. Police now believe that the burglary offender was caught red-handed by the two men who witnesses thought were beating the guy up. In an unremarkable coincidence, at 12:40PM on March 23, a witness reported seeing a man matching the description of today's offender climbing out of a window at the same apartment building. Officers were unable to find the suspected burglar that day and no burglary report was ever filed. 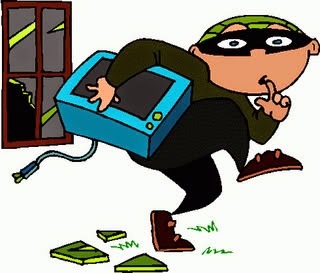 Yet another resident of the building filed a burglary report on January 30th. Nice work today by the residents and our 19th district officers.